Positioning the pencil when taking notes, eating with utensils, working with buttons, zippers, and shoelaces when getting dressed are daily activities that require manipulative skills. What can you do to help your child learn to manipulate objects? Provide plenty of opportunities to grasp objects and strengthen his hands and fingers. Play with building blocks, open and close containers, or move objects from one box to another. Get him interested in playing with playdough. Rolling, and squishing it are skills that involve firmness and hand-eye coordination. Promote hand division by working on picking up small objects, inserting coins in a piggy bank, or going outside to collect nature objects. Encourage your son to use the thumb, index, and middle finger for manipulation the object while the other fingers remain tucked into the palm. Foster his bilateral coordination by inviting him to use both hands when performing a task. For example, when building a tower, one hand should hold a building block while the other hand stacks another block on top of the tower. Practice postural control. Teach your kid how to stabilize his body in order to coordinate his arms, hands, and fingers. For example, when sitting down to draw. This will not only help him for static activities, but also foster his anticipation strategies for activities in which his center of gravity moves. For example, throwing and catching a ball, hopping on one-foot, balancing exercises, etc. Bring body awareness into the activities. Emphasize on the feedback that the brain receives from the position of the fingers and hands when performing a task. The texture of the fabric or the squishiness of the playdough will help your little one guide his movements to manipulate things and develop future dexterities like the pencil grip. 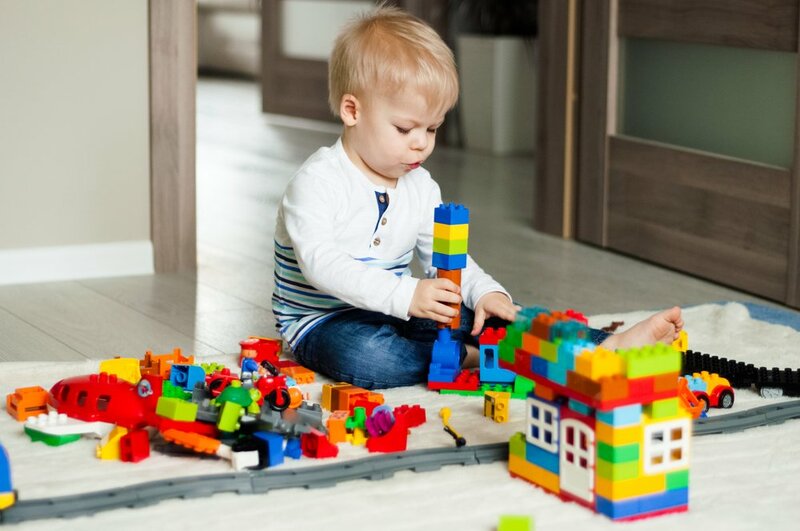 Object manipulation has also an impact on other domains of your child’s development. Keep reading PART 2 of this article to learn more about that. What makes a child shy?